Brown eyes have a special appeal. They have a certain mystery that attracts attention like a magnet. 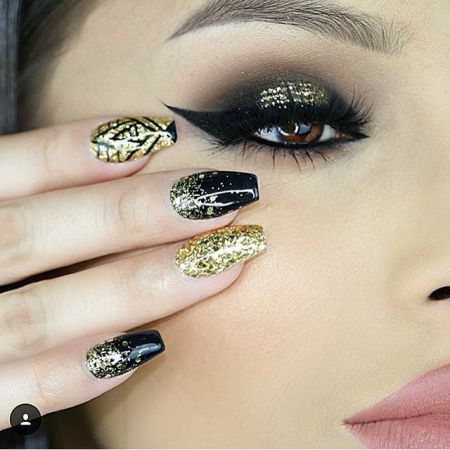 It is possible to emphasize this mysterious beauty with the help of makeup. For dark brown (black) eyes: as a basis you can choose white, blue, light purple, or light green shades. The main shades here are sand, green, plum, and silver. Also suitable are olive, turquoise, beige, and bronze shades. This is one of the rare cases where you can use blue; with its help, you will be able to achieve simply stunning results. For light brown (honey) eyes: as a basis it is better to choose a light-beige honey, like the color of baked milk. The main shades for this eye color are light brown, dark brown, green, plum, and bronze. Also suitable are peach, blue, indigo, or violet. For hazel green eyes: as a basis we take white, blue, silver, and cream shades. Main shades include: beige, gold, brown, olive, and green. Also suitable are ultramarine, cornflower blue, and light blue. All women who have brown eyes should refrain from using pink and orange. As for eyeliner, it is not recommended that you use gray or brown. Blue, green, and purple eyeliners are welcome. Mascara can make your lashes thicker and longer. Therefore, it doesn’t hurt to apply a few coats to your lashes. Use black mascara or use a colored one, but don’t use brown. 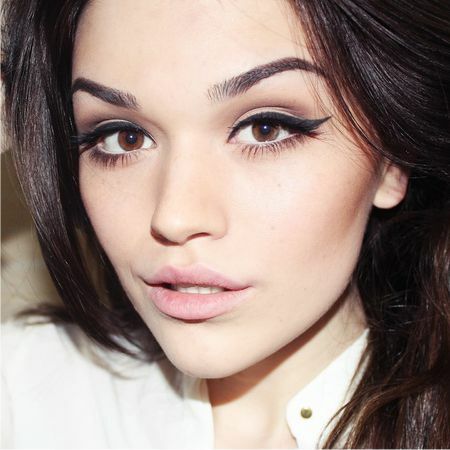 Brown mascara, like brown eyeliner, will make your brown eyes look dull. Blondes should use quieter tones of makeup for their brown eyes. 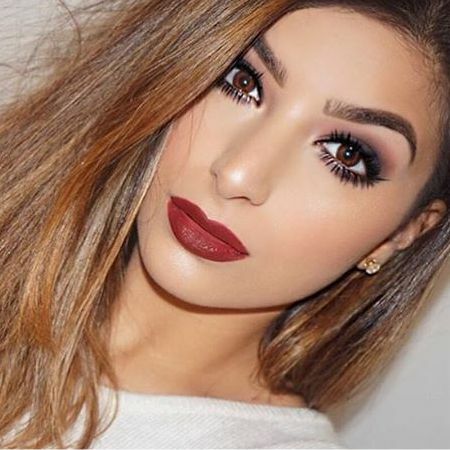 Brunettes can boldly use the most vivid and richest of shades. Do not be afraid to experiment; try something new and fashionable and you will always be in the spotlight! 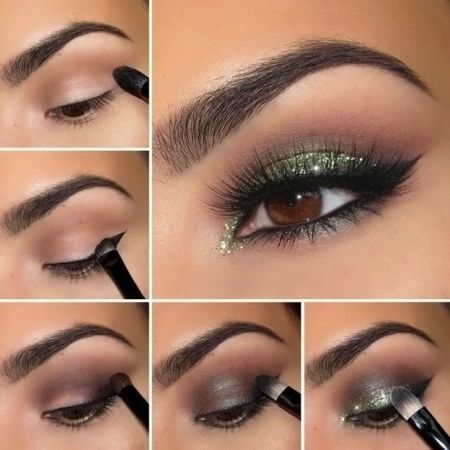 Like the article «Eye Makeup for Brown Eyes»? Share it with friends!